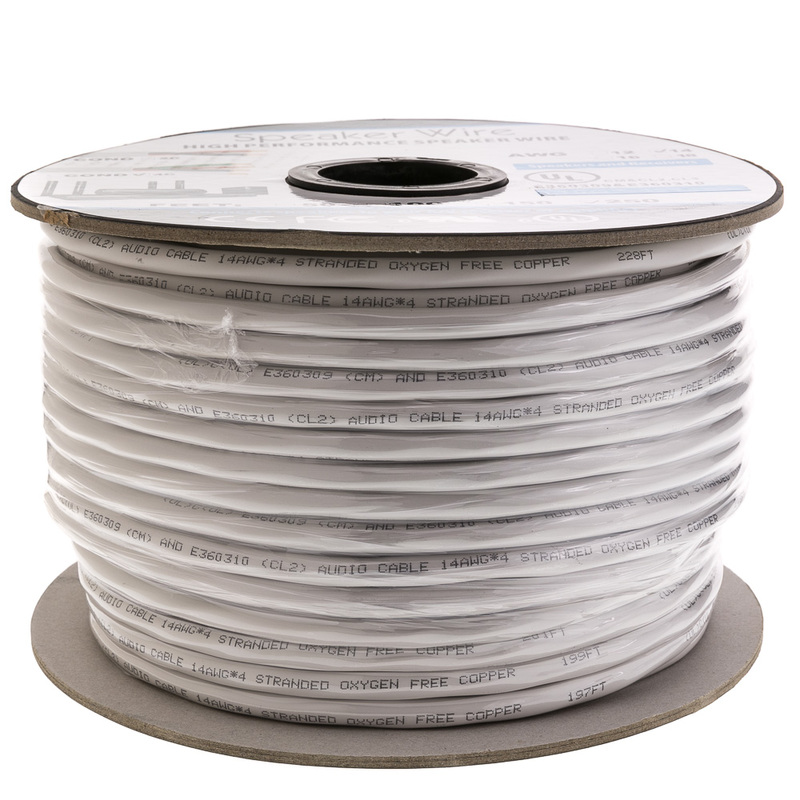 Our white, bulk 1000-foot speaker cable wire is plenum-rated (CMP) and comes in a convenient spool that allows for easy dispensing and storage. This 14/2 (14 AWG, 2 conductor) bare-stranded copper conductors provide a clear, quick signal with very low resistance that will produce optimal performance, year after year. Each end is bare-ended, which means that this cable is ready for any job that you may have for it. 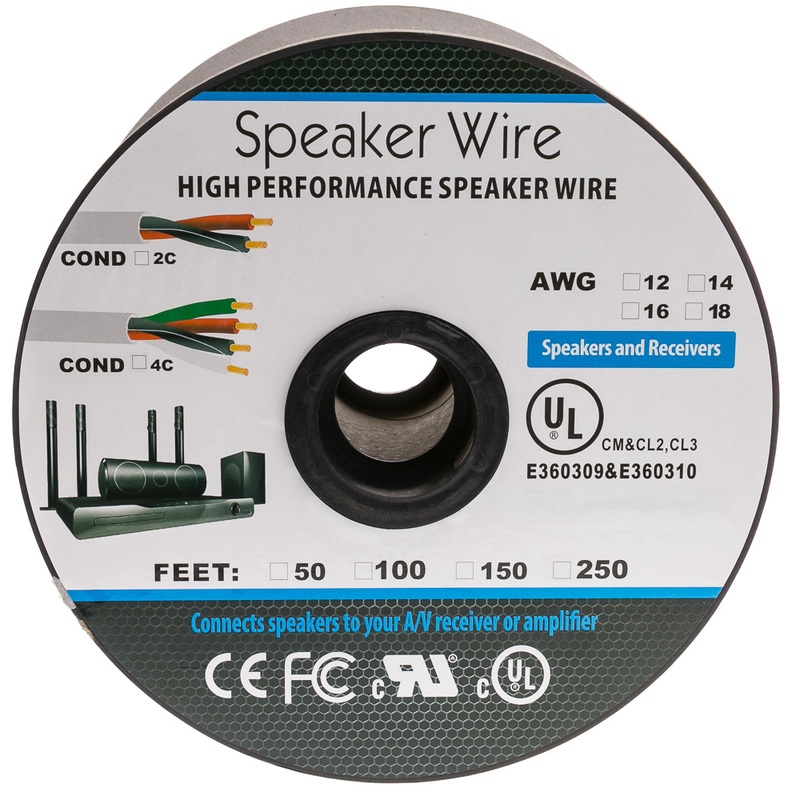 These wires are ideal for wiring speakers in your office, house or home theater to your AV equipment. 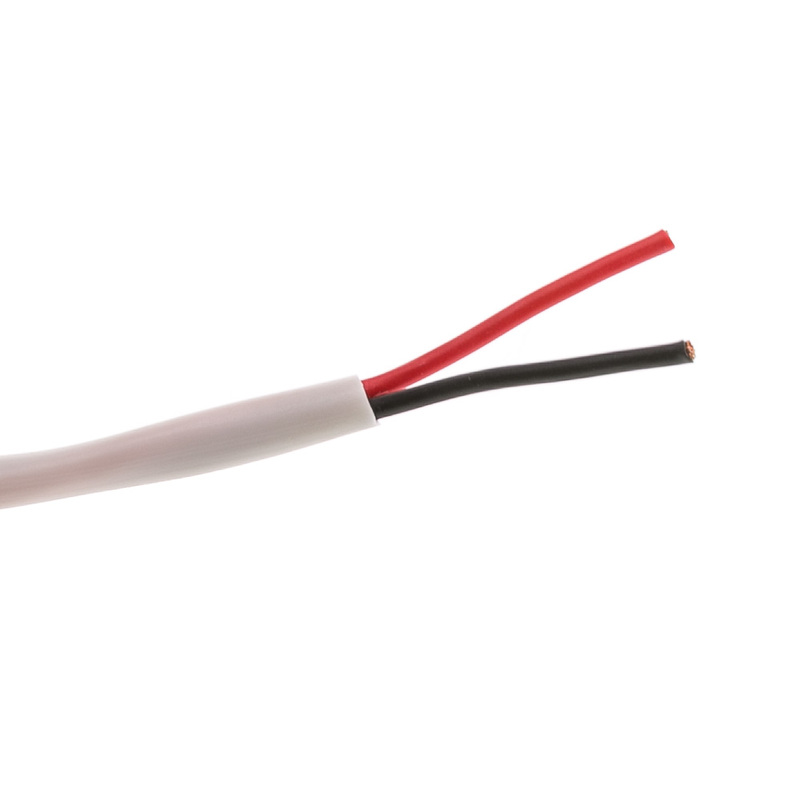 The plenum rating adds extra confidence in this outer wire's fire-retardant outer jacket.